Somewhat WRecK (TEE) made their way through Middle Earth to do battle with their Northern League colleagues in a sweep Skills test at Tolkien Tarn. Jill from the hosts coxed cleverly and they were joint second after the first series of races. 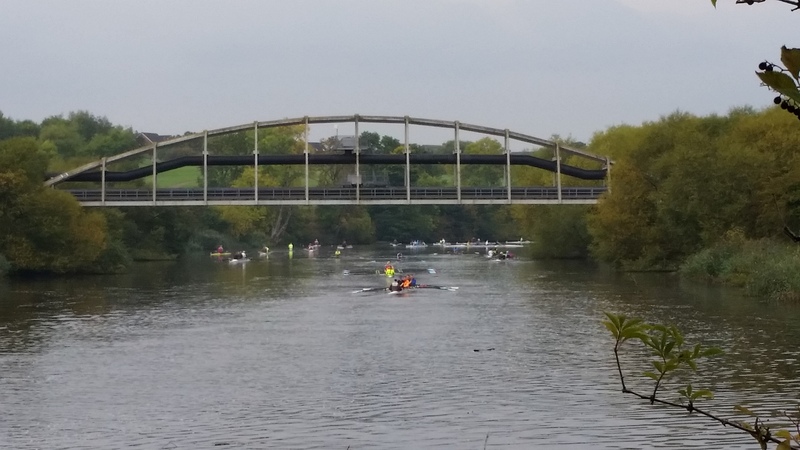 This month's minihead saw a bumper entry of 27 boats (72 competitors!) in the run-up to the Tees head races next weekend. Lovely conditions though lots of debris on the water, and some very close finishes. Thank you to the Vet Men for running the event with the addition of the delicious corned beef pie we have come to know and love from Marian Olver, and some extremely tasty brownies baked by Fiona Ventress! The Great Britain Para double sculls trunk and arms stroke , Laurence Whiteley recently dropped into his home club while on a break from his hard training sessions at Caversham where he is now based. Along with his sculling partner Lauren Rowles he not only got the GB boat qualified for Rio and the Olympics but they also took the Silver medal just missing out on the gold by a mere half a second to the Australian World Champions . 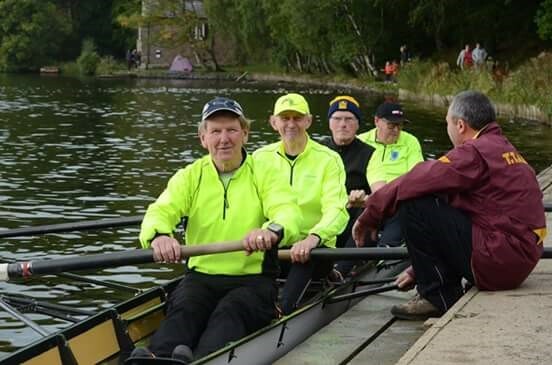 While at Tees , Laurence met up with some of his fellow Para and row ability athletes and chatted to everyone before they took to the water. As well as the athletes he re connected with his former coach Greg Beswick and the squads head coach John Winton. LTA - Legs Trunk and Arms athlete. TA - Trunk and Arms athlete. AS - Arms and Shoulders athlete. This month's minihead took place in pleasant conditions despite foggy weather while boating. We had a good turnout with plenty of boats of all sizes, and some close racing at times. Thanks to the Juniors and Juniors Mams for running this event; the cakes went down very nicely!